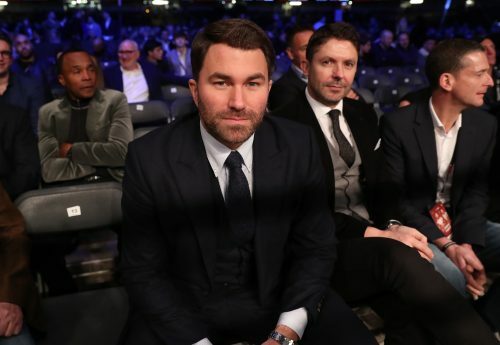 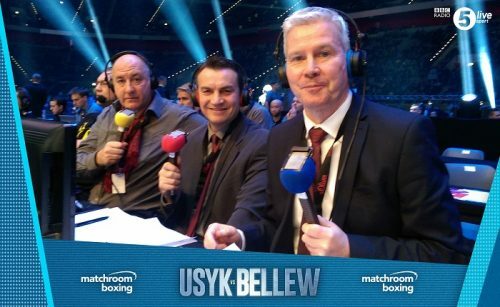 Matchroom Boxing are delighted to announce a deal with the BBC for exclusive radio rights to the highly-anticipated undisputed Cruiserweight World title showdown between Oleksandr Usyk and Tony Bellew at Manchester Arena this Saturday. Award-winning boxing correspondent Mike Costello and his Radio 5 Live team will provide blow-by-blow commentary on an historic night in Manchester as pound-for-pound star Usyk puts his WBC, IBF, WBA, WBO and Ring Magazine belts on the line against Bellew. 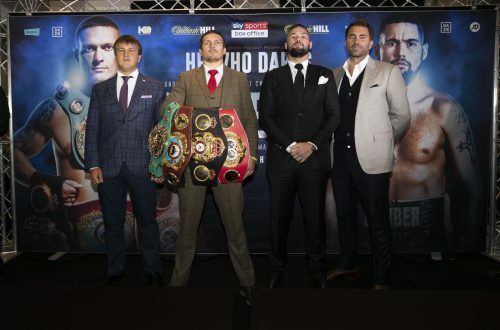 Ukranian Cruiserweight king Usyk made history by outclassing Murat Gassiev to become the first Cruiserweight to hold all four recognised belts, following his sensational World Boxing Super Series win in July. The 31-year-old won Olympic, World and European amateur golds before steamrolling his way to the top of the Cruiserweight division after only 15 fights, but former WBC World Champion Bellew believes he will become the first man to beat Usyk this Saturday.